So, how do we contain the costs associated with specialty pharmacy drugs and actually begin to reduce spending? Care coordination – Care coordination is key not only between providers and payers but also between medical and pharmacy benefits. Currently, specialty pharmacy benefits are provided both under medical and under pharmacy programs and these tend to be done within their individual silos. In some instances, the cost to the patient is less with pharmacy benefits than medical while others the opposite is true. Integration between pharmacies and medical records can increase the coordination of care and provide higher quality care to patients and ultimately lower healthcare spending. 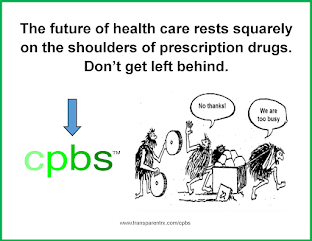 Patient education – patient education is essential in particular with the administration of specialty pharmacy drugs. These drugs can be in the form of injectables and are often administered by a provider, which can be quite costly. Providing education to the patient as well as their family can enable these to be taken in the comfort of the patient’s home. This can help reduce healthcare spending as the cost of a doctor’s visit may not be necessary, no appointment needs to be made, and no billing/coding needs to occur. Providing care in the appropriate place – If assistance is required to administer these drugs, it is much cheaper to administer for example in a primary care setting than an emergency room or outpatient clinic which may be associated with a hospital. It is the same medication, but education as to the less expensive alternative is critical. Changes to the payment policy/reimbursement – under current fee-for-service model, providers are incentivized to prescribe more expensive medications, whether the patient really needs those particular drugs or not. Additionally, some providers are incentivized based on the total cost of the drug, in which they are reimbursed a percentage. There is also a trend of providers to purchase specialty pharmacy drugs from manufacturers and then sell them at a premium price. These incentives are not aligned to decrease healthcare spending and should be reviewed and revised. 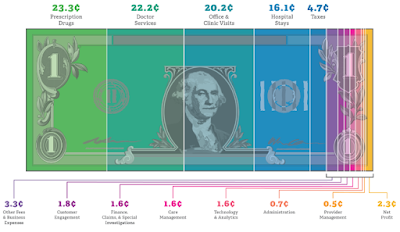 The use of bundled payments has become a trend as of late. The idea is to control the total cost of care through bundling certain services, thus lowering healthcare spending. Transparency in pricing is critical to controlling healthcare costs as well. Providers, payers and consumers should know the price, what that includes, and how the price was determined. As mentioned, specialty pharmacy drugs are not new. Cancer treatments, for example, have been around for a long time. However, the costs associated with these drugs are contributing to the out of control healthcare spending trends. In order to reduce these costs, many mechanisms can be put into place. Providers, payers, and patients working together can begin to make a dent in the costs and increase the quality of care.